We partnered with Hendrick Mercedes0-Benz of Charlotte to create a commercial that shared their unique approach to the luxury car buying experience. The Hendricks name is well known in the Nascar world and Mr. Hendricks has placed them same values that brought him and his brand success in that world to the luxury automobile industry. We sat down with the GM Tyler Johnson as he share some of the core values that make Hendricks unique in the luxury automobile industry.They make sure to attract and hire people who value a servant culture. That culture starts internally amongst their team and then ultimately impacts the customer. The Hendricks team also provides some incredible luxury services. A Hendricks team member will deliver a car to your house and provide and in home sales experience. This is a personalized car buying experience that happens in the convenience of the customers home. Within their sales process they take great care in providing an in depth pricing strategy to ensure that the customer has a great experience and a fair deal. Most important to the team at Hendricks Mercedes-Benz, is the work the do in the Charlotte community. This includes partnerships with teen mentoring groups and other charities who are doing great work in the city of Charlotte. The goal for our team was produce a video that felt personal and real. The majority of car dealership commercials you see involve the GM walking through the front lot, talking about how they are slashing prices, or what cars “must go”. The Hendricks team wanted to connect with their customers through their dedication to great service, convenient and relaxed sales process, and impact they have in the community. Thank you to Mr. Hendricks, Tyler Johnson, and the Hendricks Mercedes-Benz team for trusting us to share your story! 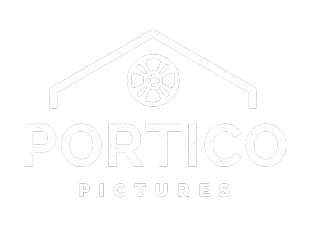 Based in Raleigh NC, Portico Pictures makes films to move audiences, start conversations, and make people think. We build documentaries, corporate films, and more.